Watch the video below to see highlights from our kick-off event! Opening as a vaudeville house in 1915, the Paramount Theatre soon changed with the times to become Austin’s grand movie palace. 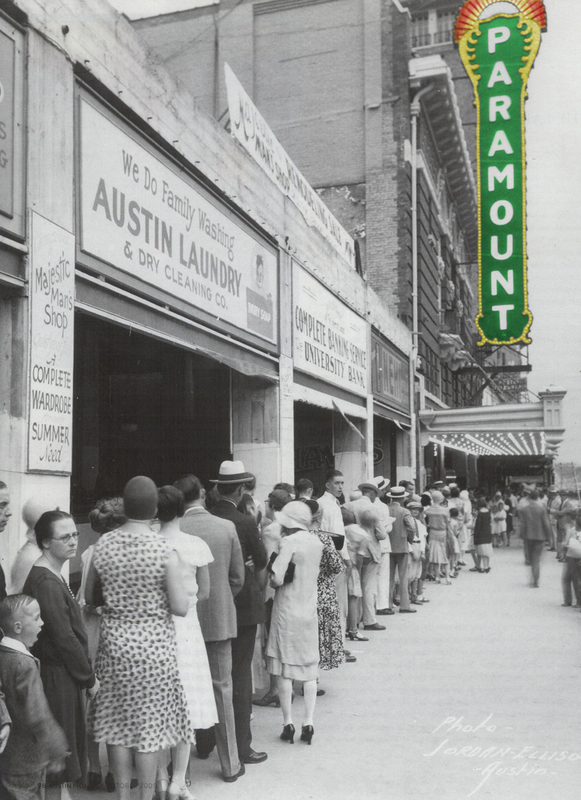 The Paramount served film lovers as a first-run theatre for many years before the decline of downtown Austin. Since then, it has presented numerous world premieres independently and continues to do so in partnership with the Austin Film Society and festivals like South by Southwest and the Austin Film Festival. In addition to showcasing new films, the Paramount has also played host to the annual Summer Classic Film Series, which will celebrate a milestone 40th season in 2015. With its historic architecture and devotion to 35mm and 70mm film exhibition, the Paramount remains the best venue in town for taking in a classic movie and recapturing the glorious atmosphere of cinema’s golden age. 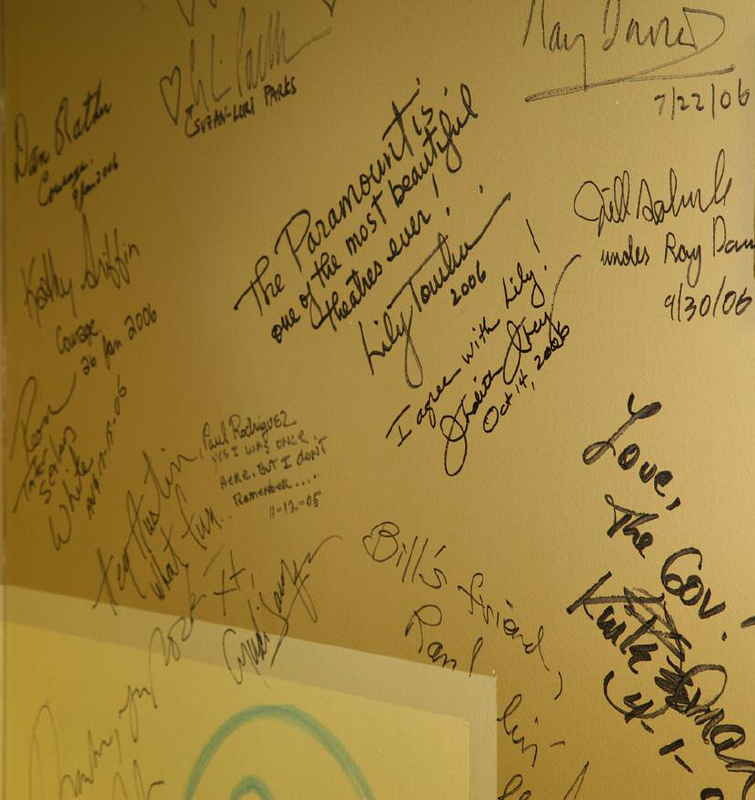 The Paramount marquee has long been the most coveted spot in town for films both old and new. In anticipation of the Paramount Theatre’s 100th anniversary, we are undertaking a truly luminous project: the fabrication and installation of a new, historically accurate blade for the Paramount’s façade. The blade was first installed when Paramount Pictures took over the theatre in the early 1930s. Little is known about what happened to the original blade after 1963, making the 100-year celebration a perfect occasion to re-light the façade in historic fashion. In 1930, the Austin-American Statesman described the blade as a “huge sign, more than 75 feet high [from the sidewalk], and topped with a brilliant sunburst.” We can’t wait to light up Congress Avenue when we flip the switch on the new blade in the fall of 2015! Visit www.austintheatre.org/the-paramount-blade for more information or to donate to this extraordinary project.